Las Vegas, to many people from Hawaii is affectionately referred to as “Hawaii’s 9th Island.” This is because many kama’ainas find reasons to visit this town many times during the year. And when people from Hawaii are in Sin City, they are almost guaranteed to run into someone they from the Aloha State. This happens whether you’re trying your luck out at one of the many casinos, shopping or experiencing the sights. But because they have been here so often, some people from Hawaii may be looking for things to do in Vegas that are outside the norm. And if so, here are some unusual things to do in Las Vegas. A top rated thing to do in Las Vegas by TripAdvisor, this attraction allows you to channel your inner construction worker and drive a bulldozer for fun. You can begin by choosing either a bulldozer or excavator. With a bulldozer, you can build huge mounds and push gigantic tires. With an excavator, you can dig trenches and stack 2000 pound tires. Then you get to the real stuff. Guided by the staff, you can play a game of “Excavator Basketball” or build and ride your own “Bulldozer Teeter-Totter.” And when you’re all through, you can proudly claim your official Certificate of Completion and show it off to your friends and relatives back home in Hawaii. The Mirage offers an all-day Dolphin Trainer for the Day adventure where guests work with a family of bottlenose dolphins. Here, you can learn about their behavior, be able to feed and train them as well. There is also a program that allows guests to collaborate and create a watercolor masterpiece with a dolphin. Or even enjoy a yoga session with a dolphin. It’s definitely a one of a kind experience. Being on vacation, it’s the perfect time to learn new things. Be a master sommelier at The Bellagio with a 90-minute seminar every third Wednesday of the month at Michael Mina Restaurant. Or learn to cook The Bellagio’s Epicurian Epicenter Series led by celebrity chefs. If you rather learn to mix the ultimate cocktail, the Monte Carlo offers a two hour Mixology Tasting and Training Class. Believe it or not, Las Vegas has some interesting museums. If you’d like to learn more about the history, wildlife and geology of Las Vegas, check out the Springs Preserve. It’s a beautiful and comprehensive facility across Meadows Mall. Another interesting place is the Mob Museum in downtown Las Vegas. It showcases the mob’s influence in the development of Las Vegas’ gaming industry. You can learn about the time when atomic bombs where routinely exploded right outside town. If you’re interested, check out the displays at the National Atomic Testing Museum on Flamingo. Other fascinating museums include the Neon Museum and the Las Vegas Natural History Museum. The Las Vegas Natural History Museum is conveniently right next to the Springs Preserve. Going to museums might be one of the most educational things to do in Las Vegas. Want to experience the speed of a Ford Mustang Shelby GT500, Dodge Challenger SRT8 or Corvette z06? American Muscle Car Driving Experience allows you to drive these cars along 30 miles of open road in Red Rock Canyon. They also offer the same experience with exotic luxury cars from Ferrari, Lamborghini, Bentley, Jaguar and Audi. 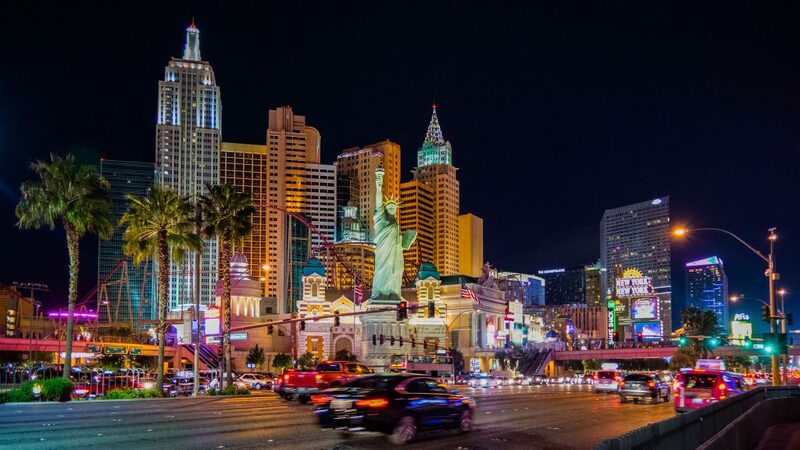 Whether you’re a first timer or visiting again be sure to try out some of some of these different and unusual things to do in Las Vegas.